I admit that I am a fair weather Greenmarket shopper. Each year I sit out December-April, then head back in May for the promise of asparagus and, eventually strawberries. By summer I am a farmer's market fanatic. I love seeing how the market's offerings change week by week, with strawberries disappearing in late June (boo) about the same time peaches make their appearance (yay). Blueberries and zucchini arrive, then corn, and finally in August tomatoes and bell peppers. But for me peaches are queen. Ask me my favorite fruit, and I'll say a juicy, fragrant peach. The best peaches are only around for about six weeks, just a fraction of the year, so I buy many and eat them any which way I can. 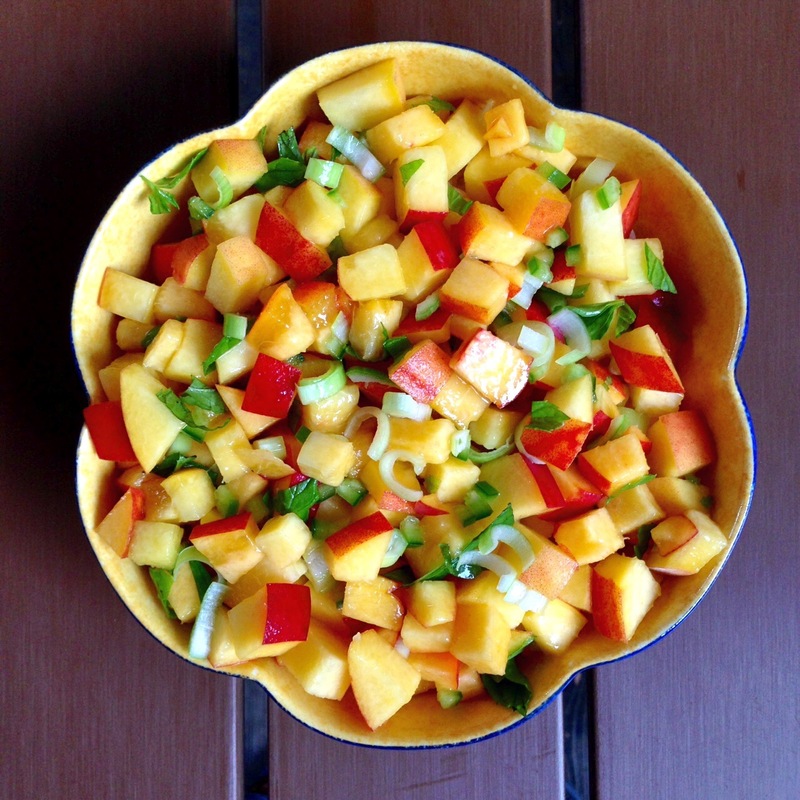 One of my favorite preparations is this gorgeous peach salsa. Fruit salsas are a staple at our house all year 'round. I love how they can add a punch of acid and sweet to a savory dish; I've found this sweet/savory combination especially appealing to kids. In fact, I included a recipe for Tropical Pork Tenderloin with a mango and red pepper salsa in Real Baby Food. But in the summer it's all about peaches. 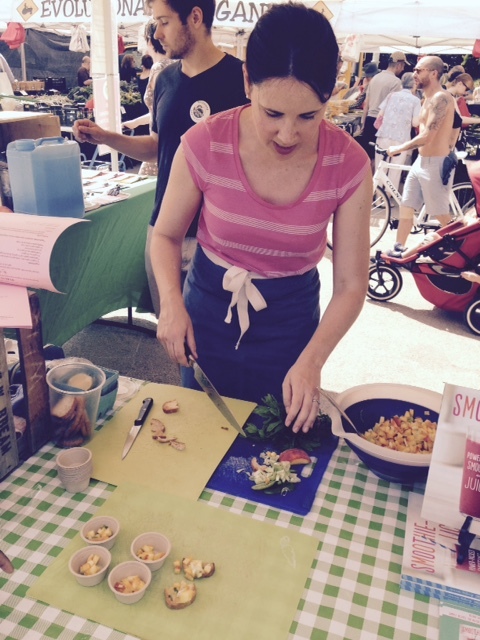 Last weekend I prepared this salsa at a book signing/demo at the Grand Army Plaza Greenmarket. 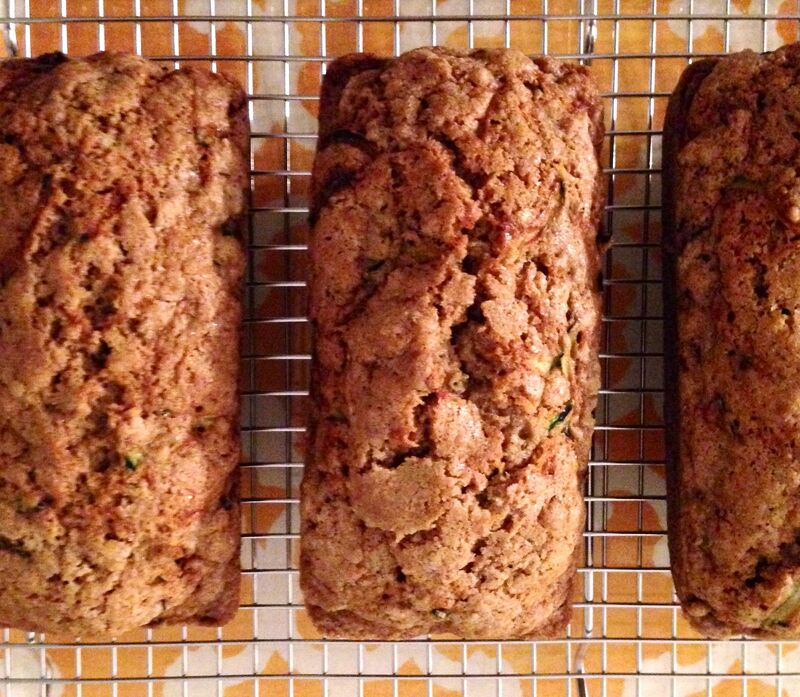 Well, it's August, so that must mean it's zucchini bread time. To me, it just wouldn't be summer without this recipe. My mom made it when I was a kid, and every year I bake it to much acclaim from Dave and Rosa. (In fact, today Rosa had a friend over while I was baking. She literally asked, "What is that wonderful smell?") We eat it warm out of the oven or spread with peanut butter for breakfast. I will probably make several batches throughout the month and will freeze some for later in the year when we desperately need a taste of summer. Nearly every time I make this recipe I tinker with it a bit. Sometimes I use canola oil, sometimes olive. I might play with different flours, and I almost always trim the amount of sugar. Like most quick breads this batter also bakes up beautifully as muffins. 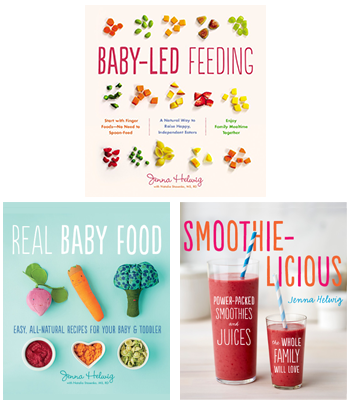 I even included a version in the breakfast chapter of Real Baby Food as Zucchini and Carrot Donuts. Did I mention this recipe is also really easy? There are no special tricks here, just measuring, stirring, and summoning your will power to wait until the bread is just warm before cutting a slice.